I am retired Army and a veteran of Desert Storm and Afghanistan. I have submitted applications as a veteran and as a guardian with no response. Letters are just now going out. The older Veterans are chosen first and most have family members as their guardians..then our older Vietnam Vets. If you can find a WWII or Korea era Veteran and apply to be their guardian, that would insure your place on the mission. You would also be honored as a Veteran. Thank you for your service. Kenneth R Moore. USMC. VietNam War Veteran. I am interested in completing an application for him as a candidate for your Honour Flight out of Midland TX in 2107. He would sponsored by His Son CARY Holt from FT Worth TX. He is a former USAF AD . I am a former US Army Sergeant who served in Berlin behind the Iron Curtain. We are a family of veterans!! I apologize. His name is Kenneth E Moore Jr. Sergeant USMC. TOD VietNam Conflict. Great! We will have someone contact you by email asap. Thanks! My son, Angel Medina ask me if I would be interested in going on the honor flight. I said I would I would be honored. I am a Vietnam veteran. I served with the 173rd Airborne Division, Recon. I served in 1969. I am on Oxygen and that may disqualify me. Thanks. Not necessarily. Someone will contact you very soon. Thank you for your service! My dad who lives in Odessa was in the Navy during the Korean war. Is it too late for the May 2017 application? My dad, Billy Bundick, is a Korean Conflict veteran. He is hoping to go on the next Honor Flight. I need to find out what we need to do to make that happen. You can download an application from this website. We’d also love to have you come to our next general meeting at the Atmos Energy Community Meeting room at 6pm on Monday, January 9. You can find out more. We also serve refreshments. Thanks! You can download an application from this website and send it in. Our next general meeting is Monday, January 9, at 6pm at the Atmos Energy Community Meeting room at air terminal. We’d love to have you come to find out more. This is my husband. He has Stage 2 Alzheimers. 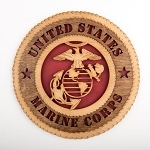 He proudly served 20 years in the United States Marine Corps. He served in Korea and loves to talk about his life in the Marine Corp. I am his full-time caregiver. He would LOVE to be included in one of your honor flights. We will email you some applications to fill out. My dad is 92 and a WWII veteran in good health. Do you have the dates when the trips will be taking place in 2018? Are there spaces available? Absolutely! Please download the applications off this website and send them in. The next mission is May 17-19, 2018. You can download an application from this website and send it in. Our next meeting will be Monday, January 9. We’d love to have you come to find out more. It’s at 6pm at Atmos Energy community room at air terminal. Thanks! I am a Vietnam Vateren and I am very interested to go on the honor flight ,I already sent a form. I am a member of Texas Veterans For Veterans in San Angelo,Texas I am hoping and wondering if I have been or will be chosen to go ,I am 75 yr’s old live in San Angelo,Tx. On the.form I put a phone number for some one to call me. Thank in advance. I know of three well deserving veterans. One is a disabled Marine who served from 1966 – 1970 during the Vietnam War and was part of the 3rd Division Airwing, his name is Charles Wendel Schoenberger. He would need his guardian and medical power of attorney who is also a Vietnam Veteran but does not feel worthy of being picked for the honor flight and that is Earl Michael Sebring who served in the Army. The third gentlemen Wendell Creech served during the Vietnam War and I believe he was in the Air Force. I do not know enough details to fill out an application for them but I could send you their mailing addresses if you so desire. I appreciate everything you all do!!! The next flight is May 16-18,2019. Please have then fill out an application. You can download it from this site or email info@permianhonorflight.org. So sorry for the delay. This message seemed to get lost in cyberspace. Hi Blaine. Please download the application from this site and send it in. We would love to have him. We’re not sure. You may be in the San Antonio or Houston hub area. We’ll find out and contact you. Thanks so much for your inquiry and your father for his service. My husband is a 72 year old Vietnam War veteran. When is the 2019 Honor Flight? Thank you. He will submit an application. Is a spouse ever accepted as a guardian if she pays her own expenses? In some cases if there is a medical need and the spouse is strong enough to assist the Veteran. Spouses have also flown separately and met their Veteran in DC. Depending on availability of seats, we can sometimes make arrangements for them to ride the buses with us. Go ahead and fill out a Guardian application and submit it. All non Veteran Guardians are required to pay for their trip. $1800 covers the flight, 2 nights hotel and all meals. I am interested in Honor Fight. I am Vietnam vet, retired USAF Lt Col. I live in Abilene. You can download an application from this site. Please fill it out asap and return to the address on the form. Abilene is in our region.